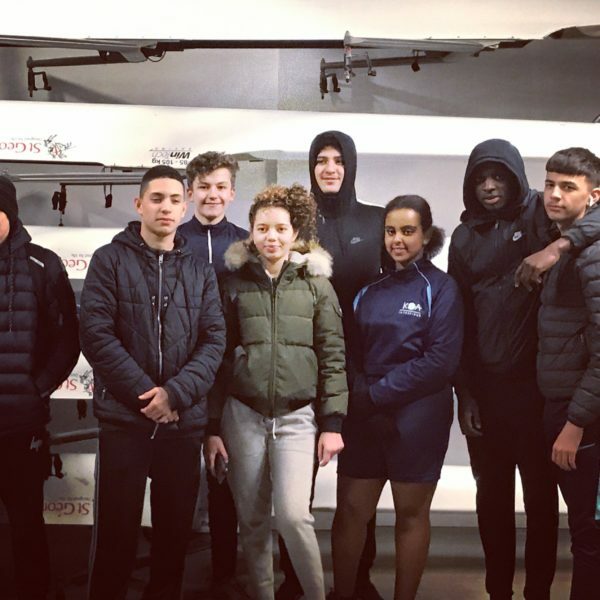 KAA had our first ever rowing race against Hammersmith Academy on Thursday 31st January. We took 7 of our most talented GCSE PE rowers in Year 11 and 10. Izzy, Jeriel and Cole made up one boat and Ali O, Ali G, Michael and Mary made up the second. Both squads were racing against time to warm-up and practice, as the light was fading at Fulham Reach Boat Club. Race one was extremely close off the mark, with both boats taking the lead at different points. 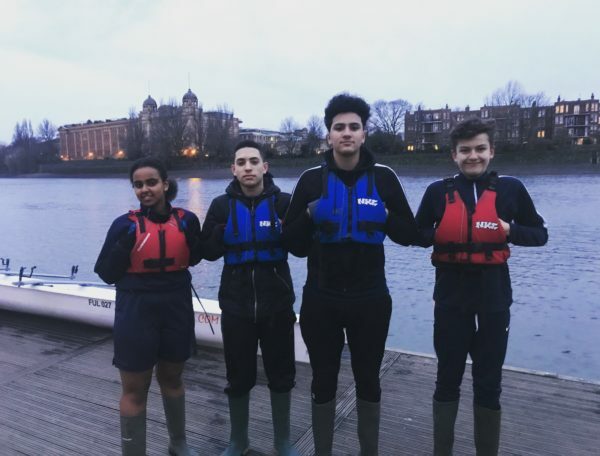 But the Year 11s (Izzy, Jeriel & Cole) had a rapid sprint finish, allowing them to pull a whole boat length in front of Hammersmith Academy and steam over the finish line in first place. As the light almost disappeared the second race began in almost darkness under Hammersmith bridge. Ali O, Ali G, Michael & Mary got off to a great start, but a determined HA pulled back to almost level, where it was neck and neck for 20 metres. But the KAA quad dug deep and produced 10 solid strokes sending them into the lead. 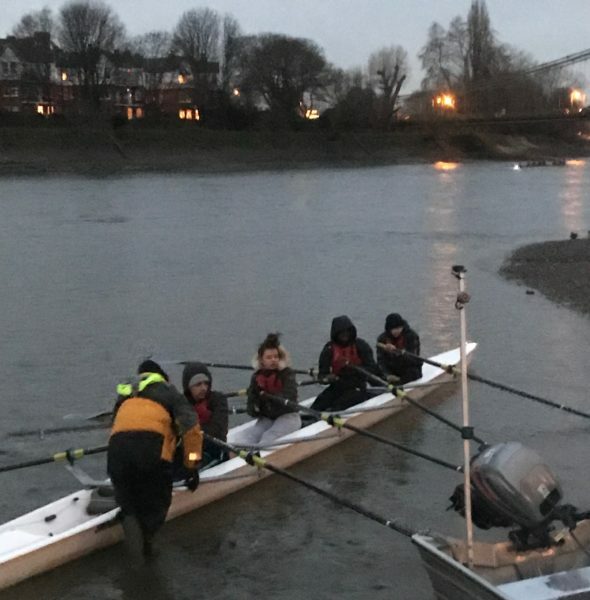 Amazingly they didn’t tire and continued at a great pace, putting them two boat lengths ahead of Hammersmith Academy, which allowed them to cruise over the finish line, securing our first double win at our first rowing meet!